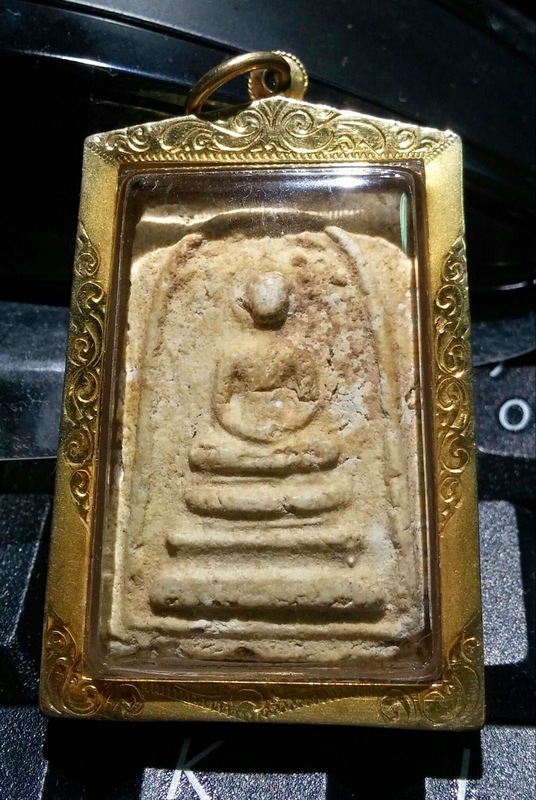 Very nice piece of somdej bangkhum prom 2502 by lp lampoo, in very good condition n visibly see fragments of old bkp powder. With red jarn behind. Added to the value of this somdej. My 4th piece of lampoo, haha!